...is made for 100% Yellow Maca roots. 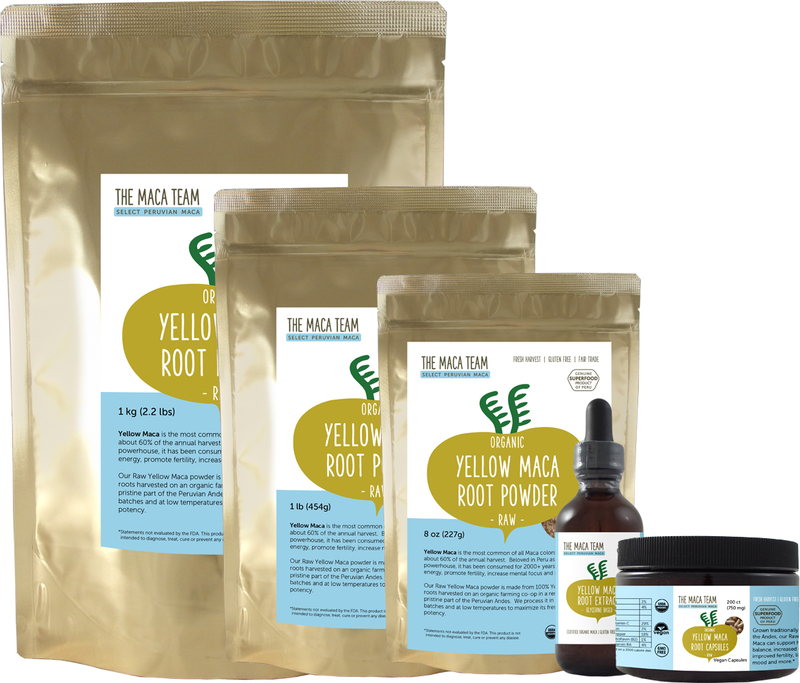 Yellow Maca roots are the most common of all colors, making up about 60% of the annual harvest. Our Yellow Maca comes from roots traditionally grown and harvested on an organic farming co-op in a remote pristine part of the Peruvian Andes. Is nutrient dense with 60% carbohydrates, 12 crucial minerals, 10 vitamins, over 40 fatty and amino acids and 4 unique glucosinolates – a true superfood. Full nutrition facts here. Has been used for over 2000 years as a nutritionally dense food to promote endurance, vitality, fertility and libido in populations living at very high elevations. To date hundreds of studies, all available publicly in the Pubmed database, have found it to be useful for energy building, fertility hormone balance, mental focus and more. Yellow Maca is indeed a nutritional powerhouse, containing nearly all essential amino acids and free fatty acids, significant levels of vitamins A, B1, B2, B3, and C, minerals iron, magnesium, zinc and calcium, a high concentration of bio-available protein and nutrients unique to Maca called macaenes and macamides. 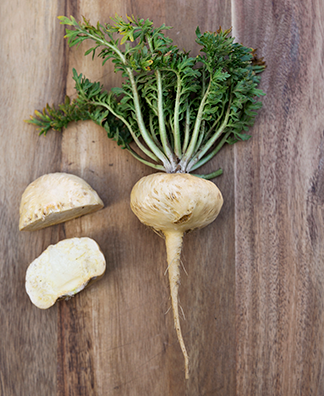 Maca is also an "adaptogen," or rare form of plant that is thought to raise the overall life force energy of those who consume it.